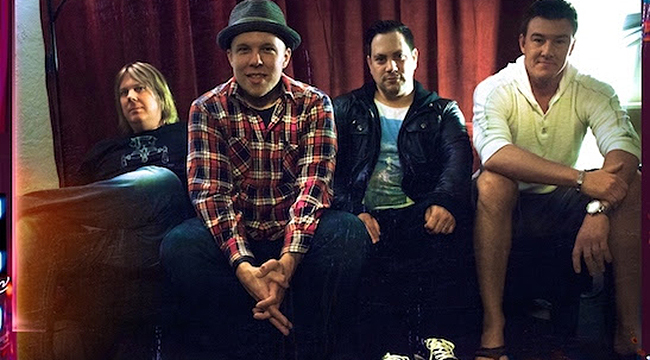 There was no real reason to think The Ataris of the late-‘90s would ever reunite. That lineup splintered years ago, leaving singer Kris Roe as the band’s only original member. But according to bassist Mike Davenport, the guys missed each other and felt like reconnecting. So they’ve launched a tour on which they’ll play 2003’s So Long, Astoria in its entirety. It’s the band’s most complete album, featuring pop-punk/emo songs that tap into the timeless theme of growing up. The guys were often compared to Jimmy Eat World and that comparison rings true here as songs such as “Takeoffs and Landings” and “In This Diary” start slow with chunky guitar riffs and parched vocals before turning into hearty sing-alongs. Davenport recently phoned us from his Santa Barbara home to discuss the reunion tour. You’re about ten days into the tour. How’s it been going? I’m actually home in Santa Barbara. We did eight shows so far. We’ve been out doing our thing now for about two weeks before the tour because we really had to bear down on rehearsals. We had a two-day break so I flew home for yesterday and today and I then I have to fly back and meet them in Portland. I have a three-year-old and a wife and I wanted to come home and take care of some business. The tour’s been amazing. Almost every night is sold out. I can’t be happier. When I started to do this, it was more for me. I was kind of being selfish. I realize there are a lot of people who needed this too. Fans have come up after the shows to tell me about the band changing their lives. I’m doing this for other people too. We were a band for 11 years. 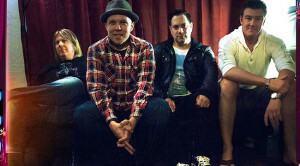 The Ataris’ history is messier on paper than it was ever was in my era. In my era, I started with Kris and we were solid together for 11 years. We did have different guitar players and then once I was gone, it went one person after another. I was 25 and the two Chrisses were 18 and 17. I was the older guy. I wrangled them in. Kris Rowe was a magical singer and songwriter. Chris Knapp was a magical drummer. Once we put that all together, it worked. After 11 years together, we just needed a break. You start to live your own life and then, you start to miss it. It took about nine years. The first four-and-a-half we spent wanting to get away. The last five years we started missing it. We were nervous about [a reunion]. There were doubts about whether people would come to the shows or whether we would have our old chops. Turns out, it’s been magical—a thousand times better than anyone’s expectations. I would think there are some younger fans coming to the show because they didn’t have the chance to see The Ataris. Is that the case? I’ve seen that a lot. That was a surprise to me. What made you want to revisit So Long, Astoria? That’s the peak of that band. I think all our other records were made on the fly between tours. This was the record we got to stay home on. It was the accumulation of learning to be real musicians and write real songs. We felt like it was our most complete album. We wanted it to be a challenge. The surprise about this is that the songs we never thought people would want to hear live — there are some songs you record but never play live — have been the songs that are getting great responses. Talk a bit about the making of that album. That was your major label debut. Did you have a lot of freedom or was Columbia was looking over your shoulder? We actually did. I think they came in one time. They wanted us to keep doing what we were doing. During So Long, everything was wonderful because it was what they were looking for. We made them the album that they wanted. They would get updates from our producer. I think there’s one thing on one song that we changed and we took their advice a couple of times. And with “Boys of Summer,” they told us they were going to put that on the Godzilla movie so that’s why we recorded that. We weren’t going to put it on the record. That was their doing. I’m grateful now. At the time, we thought it was a little cheesy. When we realize now that it might be our biggest mark we left on the music world, it’s scary to think you almost left it off the record. They didn’t meddle at all. They gave us a piece of advice but at the end of The Ataris — and this is why I left — Kris had radically changed his style on Welcome the Night. I was already in Versus the World and they ended up dropping The Ataris because that record wasn’t an Ataris record to them. That shows you how quick the hammer falls. Kris was trying to be artistic and mix it up. He wanted to be known as a great songwriter. He wanted to do something radically different. He’s done it over the course of the other records. That upset the major label enough to cut it off. You didn’t intend to release “Boys of Summer” as a single, did you? Didn’t KROQ leak it? Yeah, but it was always Columbia’s plan. They wanted us to play it live at SXSW because they thought it would be a crowd pleaser. Our fans wouldn’t know it but the older fans would. We heard it at a gas station on the way there and we started working it into our sound check. I always say that “Boys of Summer” found us. It found us to the point that we thought it would be fun to play for these record executives. That was when our struggle started. We didn’t want it to be the deal. We knew bands like Alien Art Farm who had a cover song and that was their whole career. That’s when you started getting compared to Jimmy Eat World. But you didn’t mind, did you? Yeah, we came up at the same time. We were a little heavier and punkier than them. Being a punkier band, you like being compared to indie bands. They’re a little poppy punk. We were very punky. It was nice to be compared to that. That’s where we were going with Astoria. What strikes you about the lyrical content now that you’ve relearned the songs? We wrote it as a theme. Kris had read a book by Richard Hell called Go Now. There’s a concept about making the most of your memories. Every time you go to something make it so memorable. We started calling it futuria. The whole album is based on that concept. That’s why it’s so great. We do have a couple of funny songs on the early records. We have a song about Claire Danes and My So-called Life. How relevant is that now? You look back and laugh at that stuff. We have a song about Henry Rollins. I think we gave everything we had for that record. That’s why it stands up. Will you keep touring and recording? At the beginning, I would have said it’s a one-time thing. Now you never know. We’re not all working toward the same goal. Kris is going to do acoustic shows in the UK and China after this. Versus is going to the studio make a new album. I have talked Kris into coming to California to make a new record with the old band and some new guys. I would say there will be more shows in the future but I don’t know for sure. This is the only time we’ll do Astoria for sure.